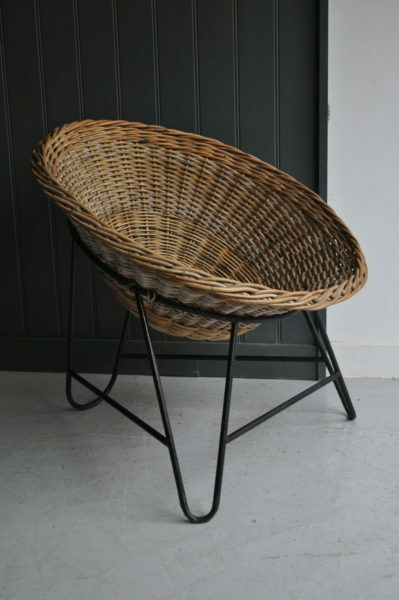 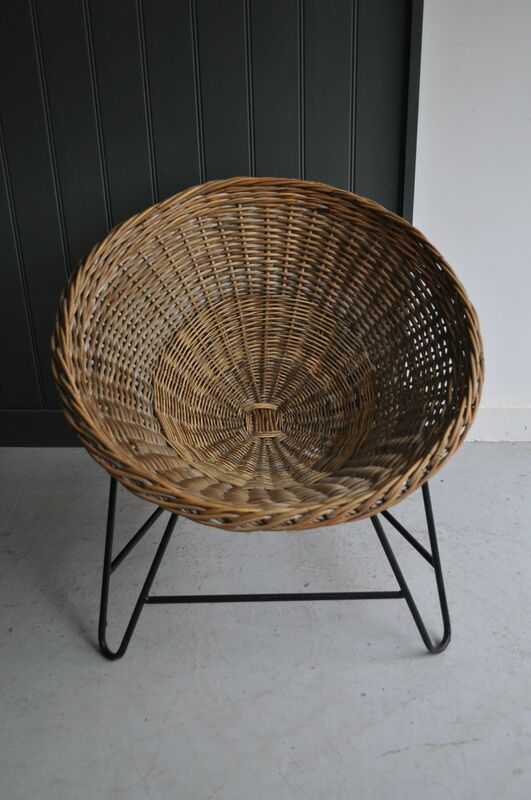 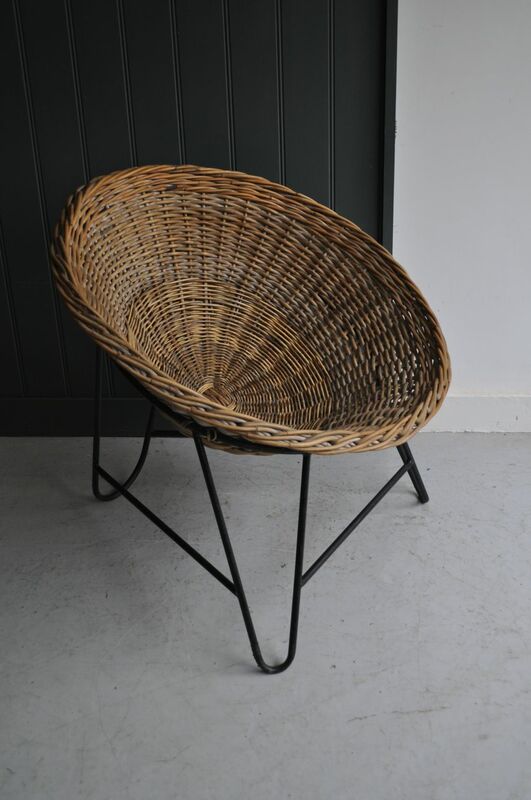 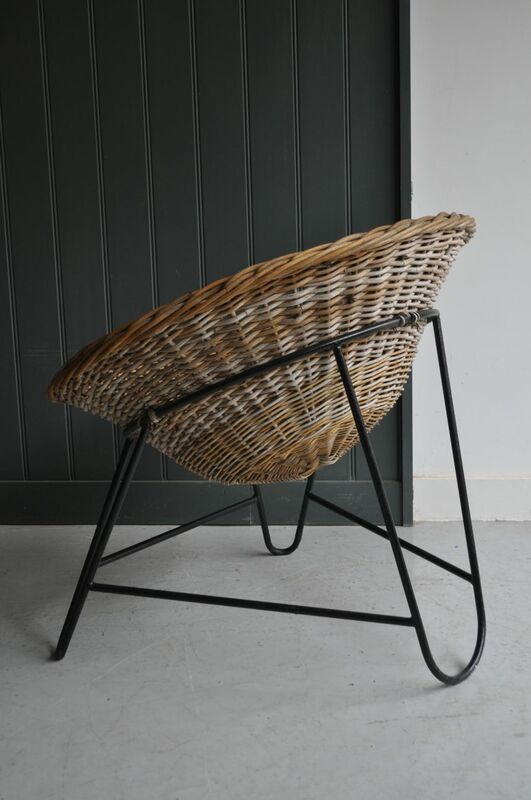 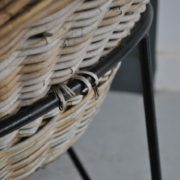 Continental wicker chair on a black rod frame. 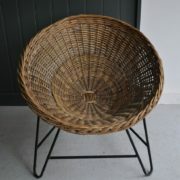 A simple but stylish design and good condition for age, with a mellow colour to the cane. 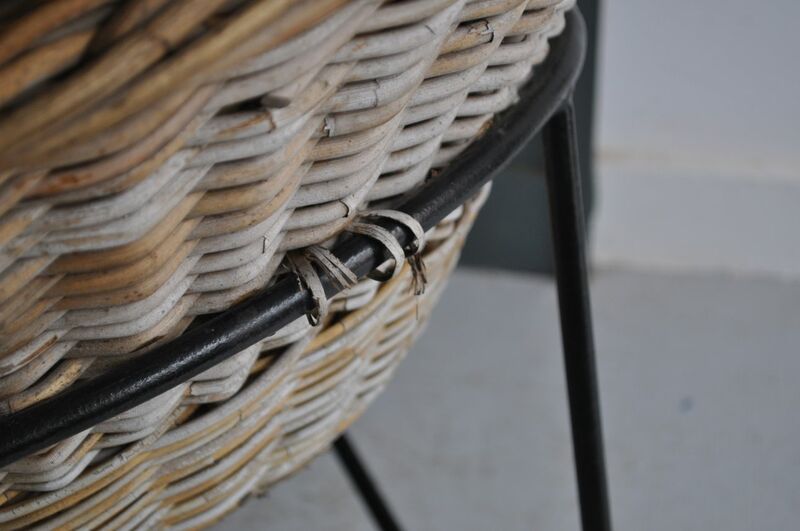 The only very minor damage is to one of the cane ties that holds the seat to the frame (please see pic). 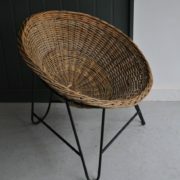 Seat height is approximately 38cm. 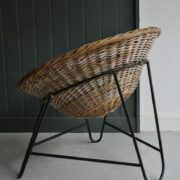 Two matching chairs currently available, but happy to sell individually, and price is per chair.